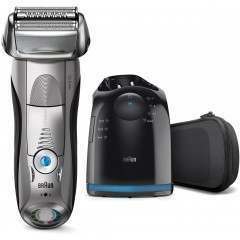 The Braun 9290cc Series 9 offers Braun's most advanced shave to date. 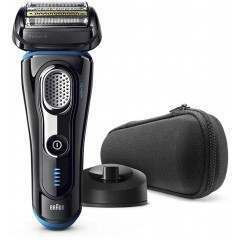 As their flagship model, it incorporates everything Braun know about shaving distilled into the ultimate electric shaver. It includes 5 finely engineered cutting elements, each specialised for a particular type of hair growth. Never miss flat-lying hair or hairs growing in different directions. Captures more hairs in a single stroke. A high quality shaving result combines closeness and skin comfort without compromises. 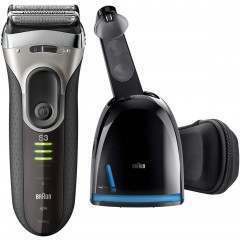 With Braun Series 9 9290cc, you are choosing the standard of excellence in both. The Series 9 cuts more hair in one stroke. A specifically designed shaving head captures flat lying hairs and hairs growing in different directions - challenges where normal shavers might fail. Like all Braun shavers, Series 9 goes in straight lines. You don't need to go over the same spot twice which significantly reduces the risk of skin irritation. 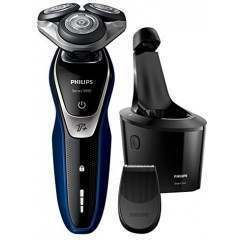 All Series 9 precision shavers are designed, engineered and made in Germany. 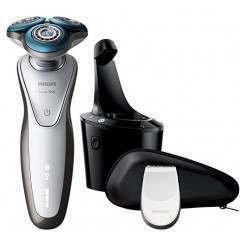 High quality shavers built to last a minimum of 7 years. Braun's patented SyncroSonic Technology reads and adapts to your beard 160 times per second as you shave, providing extra power where needed for the most efficient shaving experience. 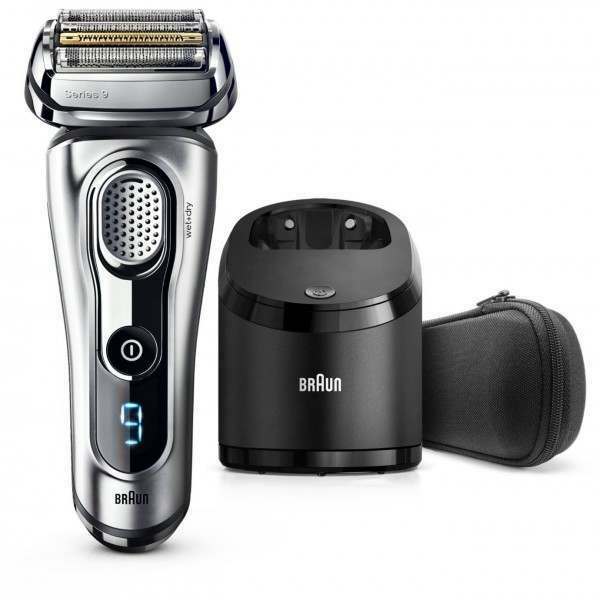 With 5 specialised cutting element, multiplied by Sonic technology, Braun's patented technoogy offers 40,000 cross-cutting actions per minute. Titanic coating offers a beautiful gold finish, with remarkable sturdiness and corrosion resistance. Each cutting element is specialised for different hair types to ensure every single hair is captured efficiently. Never miss a flat-lying hair again or un-tamed hair which grows in different directions. The OptiFoil element is for closeness whcih lasts longer. HyperLift&Cut Trimmer helps to lift and cut hairs that are lying flat for the best results. 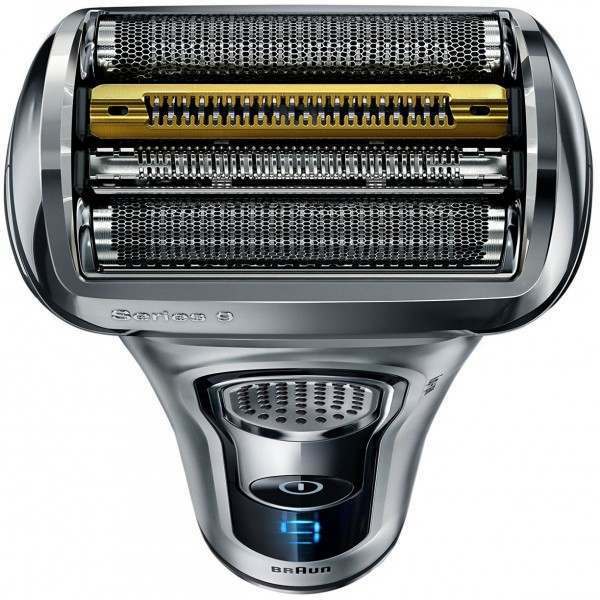 The Direct&Cut Trimmer aligns and cuts hairs which grow in different directions. 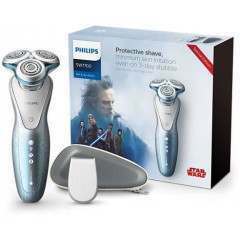 The Protective SkinGuard smoothes the skin for an exceptional shaving experience like no other. Then the additional OptiFoil offers extra closeness. The five cutting elements above are independently flexible and are mounted on to a 10-directional pivoting head. MicroMotion combined with MacroMotion offers maximum facial adaptability, ensuring more skin contact as you shave for better and more efficient results. 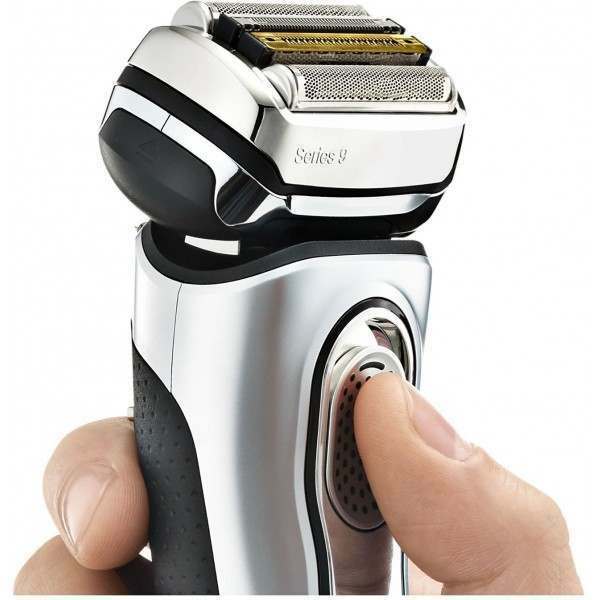 MacroMotion ensures the pivoting shaver head effortlessly navigates larger contours for maximum skin contact. MicroMotion offers individual suspension of all five cutting elements, enablign the shaver head to respond to smaller contours. The Braun Series 9 can be submerged in up to 5 meter deep water, which means it is fully washable under the use of a running tap. This can also be used with water, foam, gel or even in the shower. 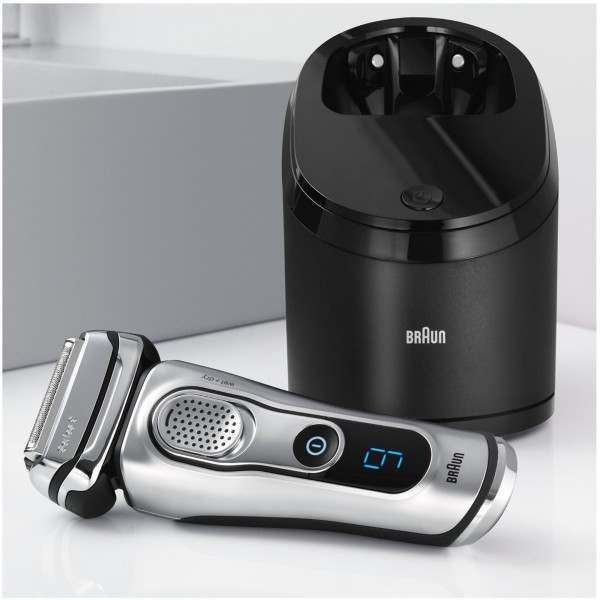 Included with the Braun 9290cc is the Clean&Charge Station - the world's only five-action alcohol-based cleaning system which cleans, charges, lubricates and dries your shaver hygienically at just the touch of a button. 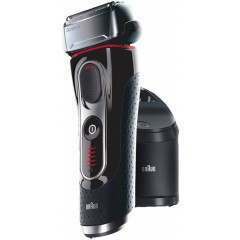 Learn more on how to bring your electric shaver back to peak performance through our blog; filled with advice provided by our expert team. 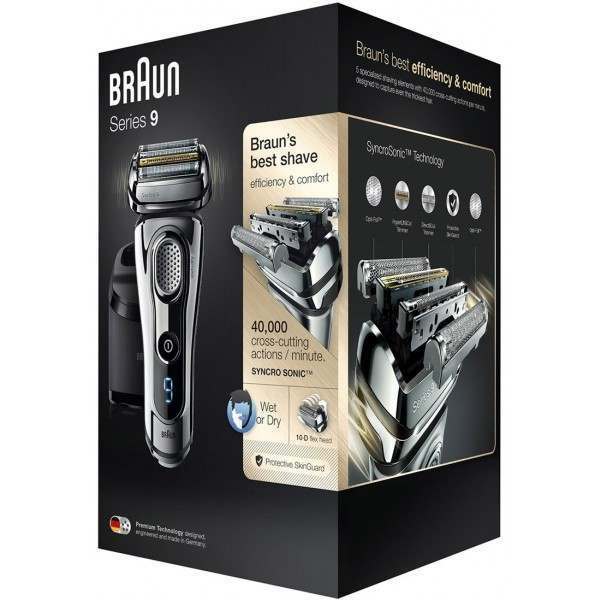 Braun Series 9 9290cc shaver, Clean&Charge Station, cleaning cartridge, travel case, cleaning brush and a smart plug (automatic 100-240 voltage adjustment). 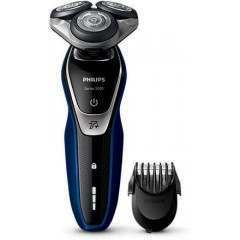 Very happy with my new shaver a lot better than my old one I will always let my friends know.Will always shop with you. 1st class product, service and price from 1st class retailer. A+++++ Highly recommended. Thank you!